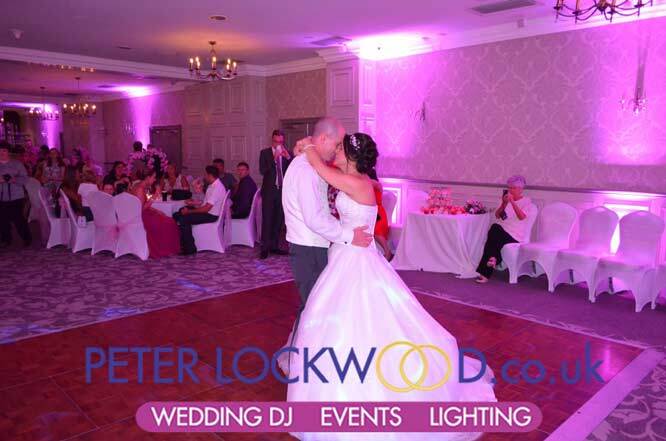 Wedding lighting in Mottram Hall is a fantastic way of bringing St Andrews Suite alive with colour. 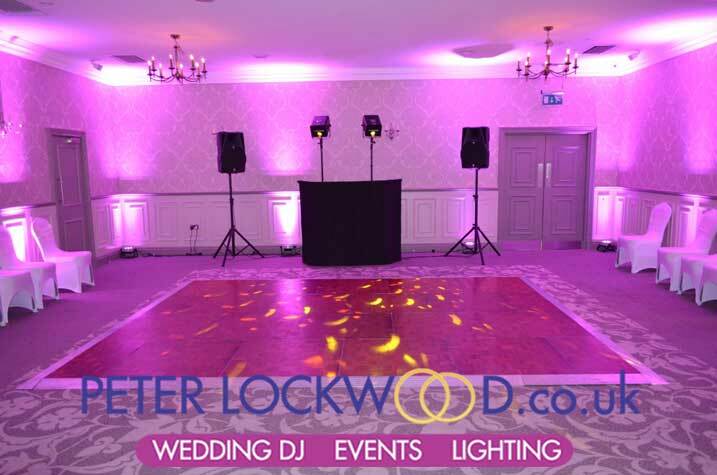 I only provided part room uplighting 12 lights in total it will take 6 more to fully light the St Andrews Suite. As you can see from the pictures the middle of the room was not filled with uplighting units. 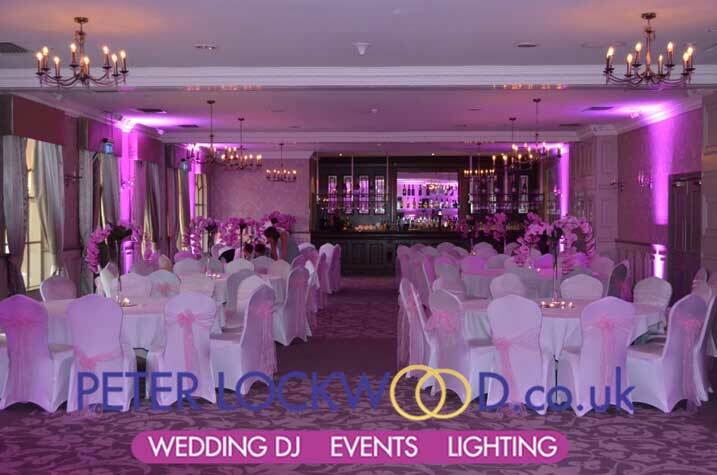 The pink wedding lighting looked fantastic as the walls in the function room are light most uplighting colours will look great. Due to the lack of plug sockets my battery powered led up lights will be amazing in the St Andrews Suite.